With over 90 stores to choose from, Clarks Village makes a great day out. Whether it’s a shopping trip with a friend or the whole family, you are sure to find something for everyone. 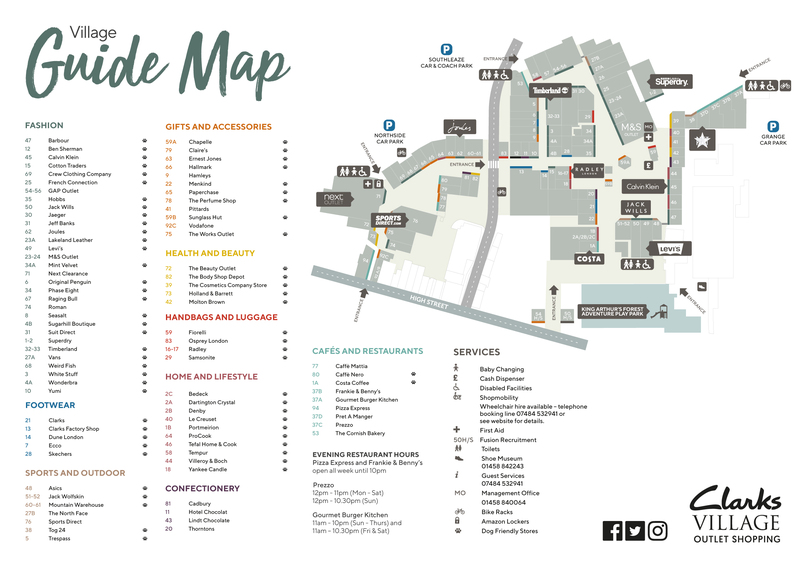 Use our downloadable map to help you find your way around, find out how to get to us, clue up on the centre by reading our FAQs or check out the Customer Services for an overview of the centre.